Excalibur Water Systems is the only OEM water softener manufacturer in Canada that utilizes Aldex resins. Aldex strong acid cation water softening resins have a proprietary non-solvent sulfonation process combined with unique manufacturing techniques creating the premium choice for water softener resin around the world. Aldex water softening resins are 100% non-solvent and will never have organic chloride leakage - ever! Aldex resins have a low moisture content which ensures a long service life. When oxidants such as chlorine and chloramine increase in potable water supplies, Aldex has a suite of resins with higher cross-link levels and capacities that offer a greater resistance to degradation from oxidative attack. Zen-Tec Hybrid filtration media iron, hydrogen sulfide and manganese removal. Zen-Tec Hybrid is used for removing iron, hydrogen sulfide and manganese from water supplies. It is a media that utilizes oxidation reduction reaction and filtration process similar to manganese greensand but at a higher level of performance. Zen-Tec Hybrid Alusil MR1 is constructed of a special alumino silicate that contains a unique surface chemistry and a unique pore structure. The pores of the Zen-Tec Alusil MR1 are between 100 and 250 Angstrom, where metal ions can be grabbed and pulled into the network of narrow pores and held inside irreversibly. Our patented media, ABA2000PB, is a proprietary, high purity crystal alumina adsorbent with a unique molecular structure that results in a very high adsorption capacity for heavy metal ions, especially dissolved lead. Excalibur 1230C-AW is a virgin granular activated carbon produced from coconut shell char through a high temperature steam activation process under stringent quality control. It has a large surface area, high mechanical hardness, excellent pore volume and chemical stability that make it ideal for many liquid phase applications. Finally, the product is acid-washed to reduce ash and enhance purity. 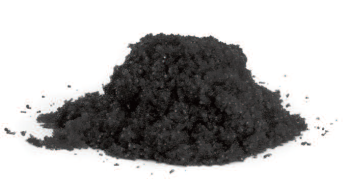 Excalibur 1240C-S is a virgin granular activated carbon produced from coconut shell char under stringent quality control through a high temperature steam activation process with proprietary kiln gases that enhance the natural catalytic capability to a high level. It has a large surface area, high mechanical hardness, excellent pore volume and chemical stability to make it ideal for liquid phase applications that require catalytic properties for optimal performance.